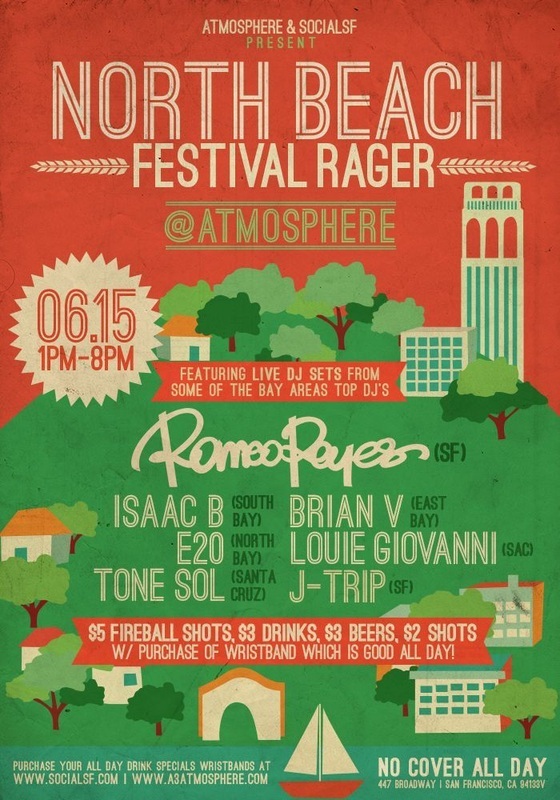 SocialSF & Atmosphere bring you the North Beach Festival *RAGER*. The city of San Francisco is extending the festival festivities out a bit more this year and we will be right around the corner featuring an all-star DJ line-up from every side of the Bay Area. NO COVER ALL DAY! But, we will have killer drink and food specials, and in order to be able to purchase discounted drinks and food, you must buy a wrist-band. Simple! Why pay $10 a drink when you can save up to 75%? Trust us on this one, we will save you money in the long run. Get ready for one classic day in this golden city of ours!